ENGIE Fabricom’s Engineering and Project office in Stokesley has seen significant growth following recent project wins, with new recruits bolstering the team to office capacity. Since re-locating to new offices in 2016, ENGIE Fabricom has invested significantly in the Tees region and has seen continued development of the office, allowing it to expand to support the needs of its local, UK and internationally-based clients. 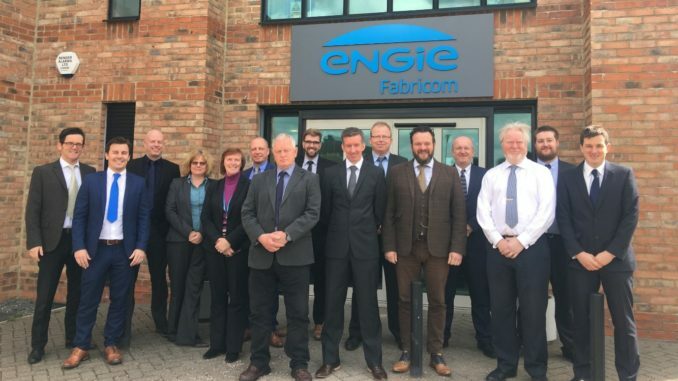 Andrew Stephens, business development manager, added: “The growth of our engineering and design team in Stokesley is testament to the commitment and focus of the ENGIE Fabricom business to invest and support our clients’ needs in the North-East area. ENGIE Fabricom has a 250-strong engineering and design team working within several market sectors including Oil, Gas, Power, Chemical, Energy from Waste and Renewables. The Stokesley office is one of three UK engineering offices, with the others based in Grimsby and Newcastle.